Braai ideas for your home - on a budget! Braai ideas for your home—on a budget! A grill, barbecue or braai is one of the most versatile cooking methods that has travelled throughout history. And aside from its cave man roots, the grill is now a staple in any home. This method of cooking can be used for anything from different cuts of meat, to chicken, fish and even vegetables, and may also be a lot healthier than conventional cooking. In this edition of homify, we explore ways of creating this fantastic home cooking element to your home, even if you are on a tight budget. So whether you love the idea of rustic fire food or you want a grill that’s a bit more contemporary, then continue reading this Ideabook. This design is simple and rustic, with black iron gates keeping the space neat and tidy, and a wooden table that fits perfectly with the charming cobblestone floor. The style is elegant and attractive, and will make a fantastic décor choice for any home. 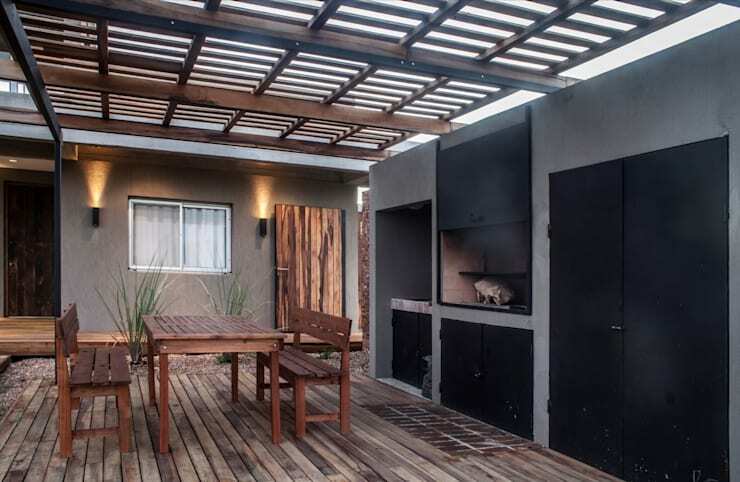 The yard consists of a stylish grill that has been designed and built in concrete, with a wooden table and wooden deck-like flooring. The pergola designed roof has polycarbonate panels, allowing this barbecue area to be used at any time of the year, regardless of the weather. The built-in grill is large and durable too. A great choice indeed. The grill has been decorated in shades of white, beige, grey and brown stones and is attractive and classic. The architects of this space ensured that there is more than enough space to eat and relax with a large dining table and informal bar area incorporated into the design. The design of this grill area fits in perfectly with the surrounding garden and greenery, creating a space that is elegant, comfortable and picture perfect. 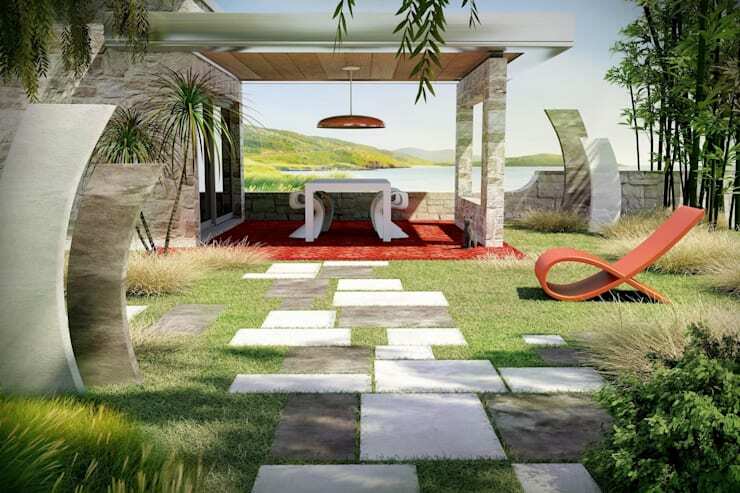 The stone elements utilised in the décor, along with the charming outdoor setting is just amazing. Brick is a cost-effective yet stylish décor option that will stand the test of time. 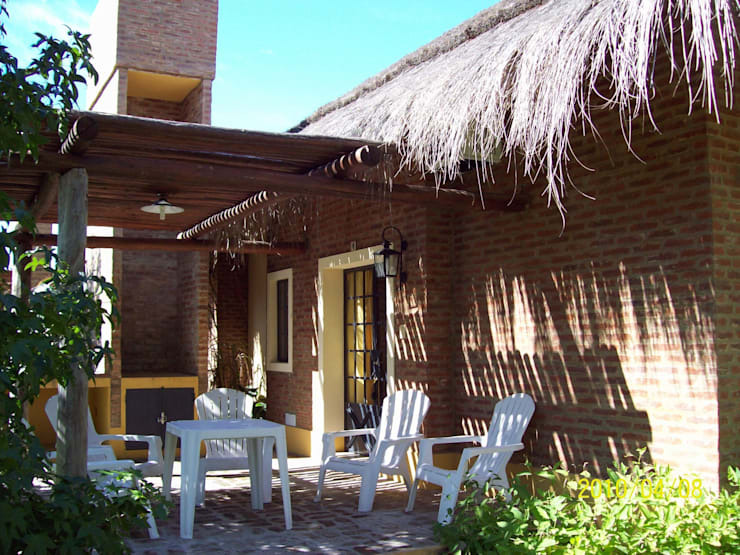 It creates a comfortable yet rustic environment that is full of traditional style. However, it is important to consider the constructive rules in order to avoid structural issues at a later stage. 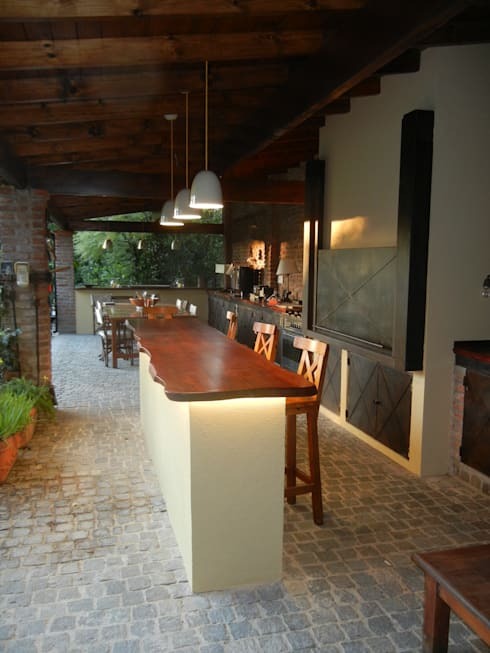 This design was completed with a dark grey granite countertop for a stunning effect. This is another stylish grill design solution for those homemakers on a budget. The island-inspired design is comprised of reeds and logs, while the grill structure has been built with cement and stone detail. 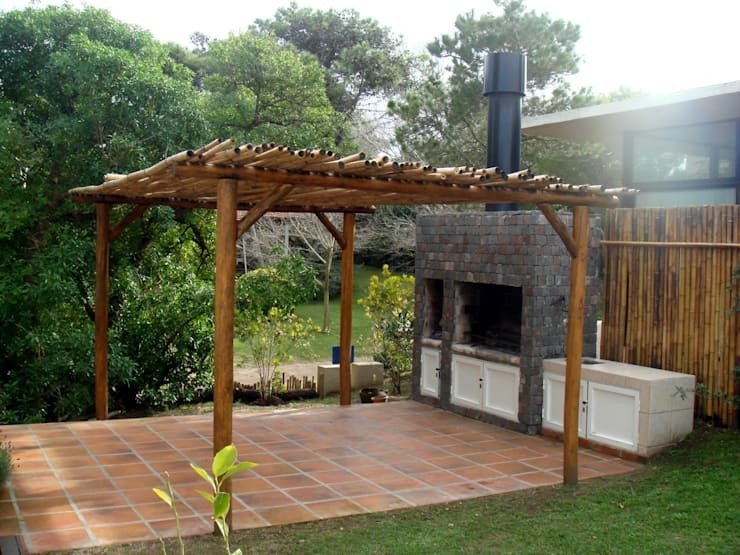 The barbecue area here is constructed from a cane and wood structure with a thatched roof for an added rustic element. 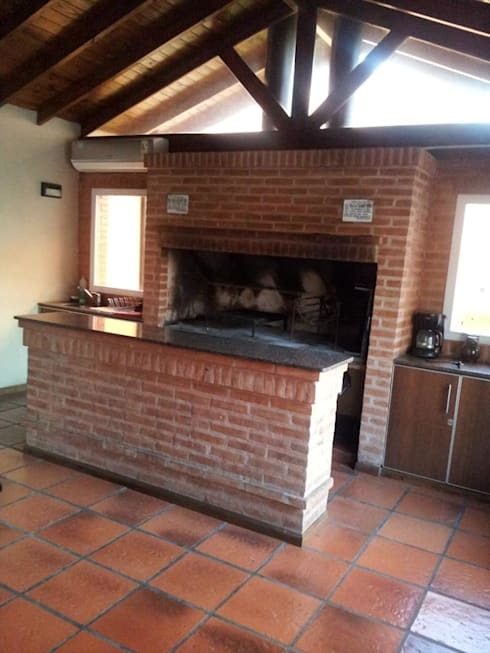 The grill is made from concrete with a brick fireplace and brick floor. 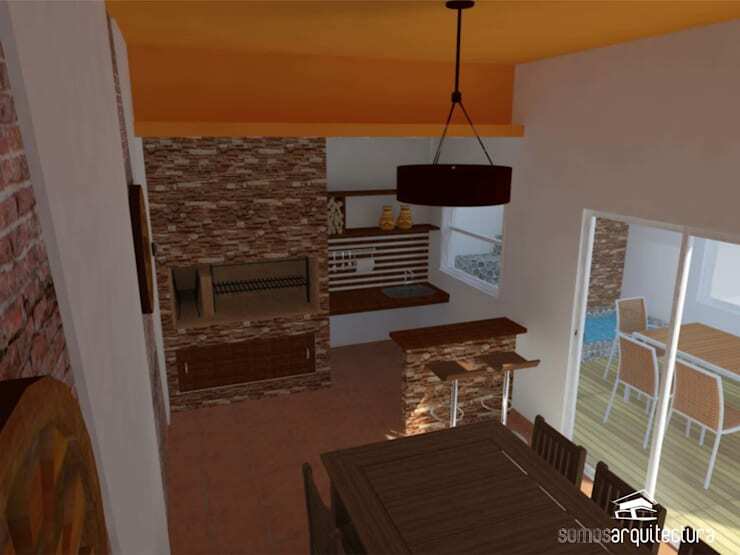 It’s an update on the traditional barbecue design and is budget-friendly too. Here are: 14 smart and easy terrace ideas that anyone can copy. Which grill design did you like the most?